Flevo Rubber Extrusion is an expert in the production of rubber profiles for practically all applications, as long as it requires small to average series and custom work. We leave bulk production to others: we want to maintain our flexibility so that we can switch quickly. We prefer to work on complex commissions where we develop a sealing concept with you in close cooperation that meets the demands of your final product. Rubber profiles are almost always pressed or slid into or onto a metal frame. That requires a certain flexibility. But once it is installed, it should not get loose or move, so geometry plays an important role there. We prefer to meet with you early on, so that we can think along on the steel or aluminium part that should carry our rubber profiles. We can help you to shape it so that the installation of the rubber profile is easiest and fastest, with a perfect end result. This can lead to huge savings in the final production. The choice of rubber type also affects the quality of your final product. We offer the choice of at least 300 different kinds of rubber mixtures. 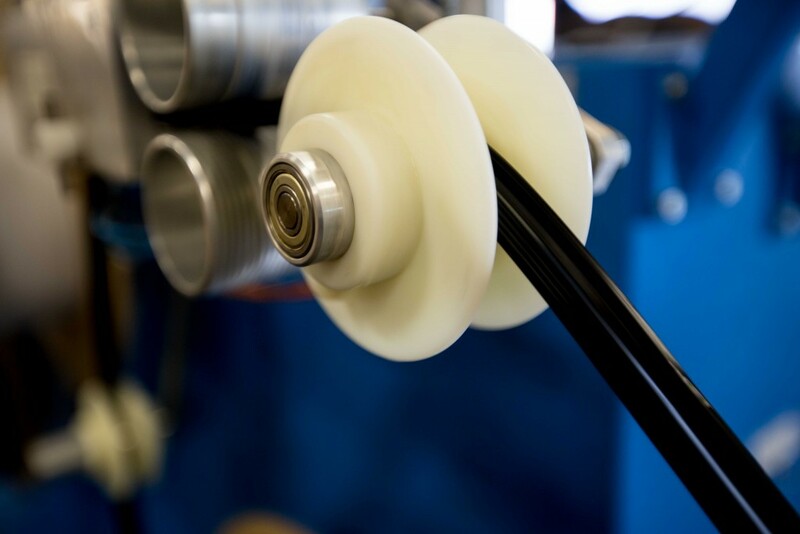 The choice of rubber has everything to do with your application. There are hundreds of variants, each with their own character of elasticity, hardness, UV and ozone proofness, oil-resistance and much more. In this choice we can also offer a large added value. We would love to advise you on the choice of rubber mixture that suits your specific needs perfectly.